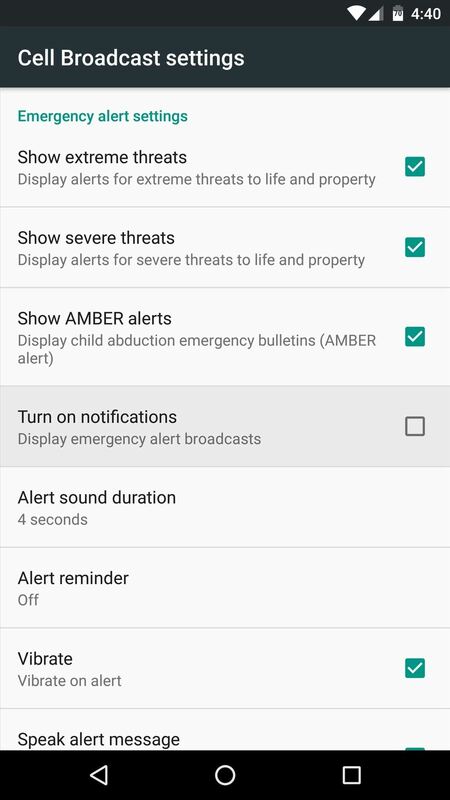 To bring things up to code with a new FCC standard, Android recently added an "Emergency broadcasts" feature that will make your smartphone notify you whenever a potential safety threat or AMBER alert is posted in your area. Even if you have your phone set to silent, these emergency alerts will cause your device to emit a loud, piercing sound when a potential threat is nearby. But many people already have their own solution for getting notified of emergency situations. On top of that, the vast majority of these notifications are for events that aren't exactly life-threatening such as severe thunderstorm warnings and other weather events. So whatever your reason, if you'd like to get rid of these notifications, I'll show you how to disable them below. If you don't want your phone to beep loudly for any emergency situation, all you have to do is disable one option. 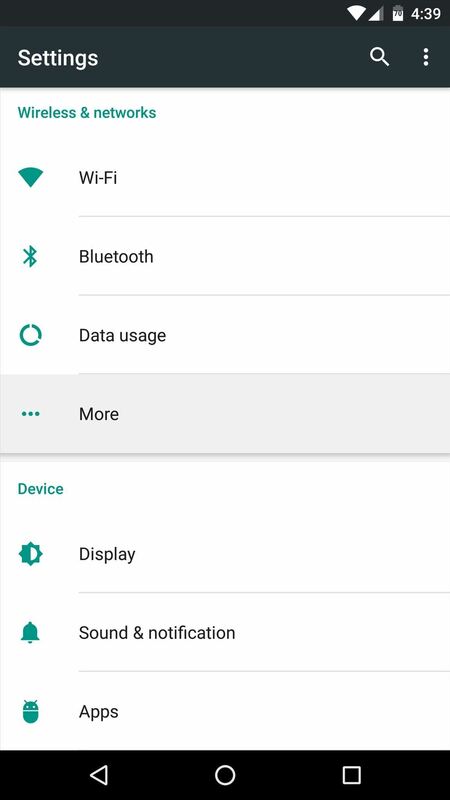 To start, head to Android's main Settings menu, then select the "More..." option. From here, head to the "Emergency broadcasts" entry at the bottom of the screen, then disable the option labeled "Turn on notifications" to wrap things up. 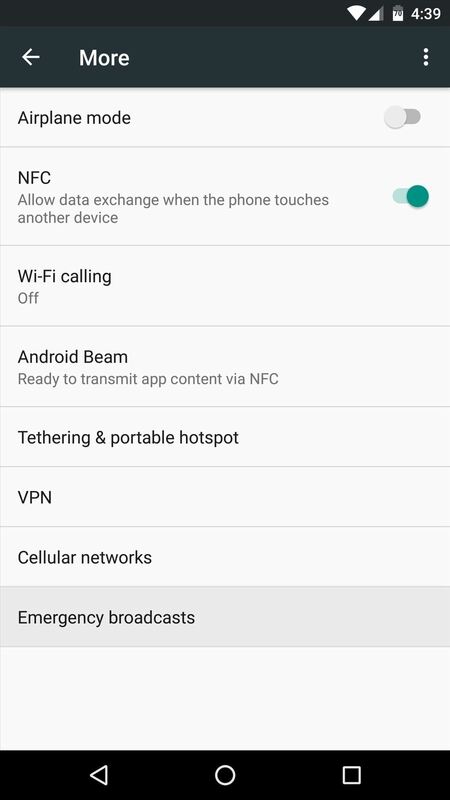 On the other hand, if you'd like to be notified of certain emergency situations, but would rather not have your phone go off in situations that aren't life-threatening, start by heading to the "More..." entry in Settings again. From here, select the "Emergency broadcasts" option, then you've got some choices. 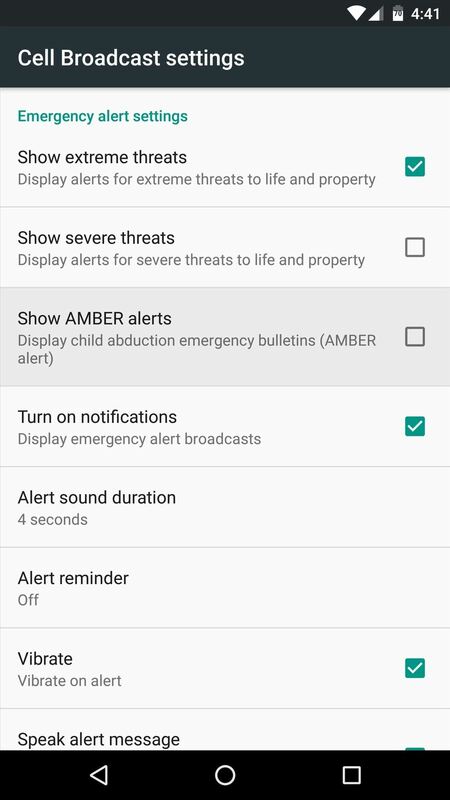 For starters, disabling the "Show AMBER alerts" option will stop notifications when a child is missing or an elderly person wanders off. Beyond that, the other two main options are for public emergencies of varying severity. Out of these, "Show severe threats" is the lesser category, so disable that and leave "Show extreme threats" ticked if you only want to be notified of the most pressing emergency situations. And the part that explains how to keep Amber alerts and just get rid of the other stuff. "Yes, let's go onto an article that people are obviously looking for and attempting to get information out of and then attempt to shame people for not wanting the results." Are you kidding me? I've never once attempted to go looking for a 'Green Escalade that disappeared six hours ago forty miles from where you are'. I don't even read them when I dismiss the notifications, so how is disabling them in any way worse?